LAST LEG OF UK TOUR! Top banana!! Pity the flagon slipped from ms. Butterfingers (my friend). I have the spout to prove this... And to stagedive @ my tender old age was great therapy from a depressing day. That and friends in strategic places. Thank you, Skinnies! Come back soon, we love you and will be hogging central frontrow again. Mwuah! Mann, haben die eine Schippe drauf gepackt, seit der letzten Show. Verdienter Headliner! so much fun , as always ! love how the band always interacts with the audience and it's a wild time. loved both opener and headliner . such a great time and glad they all hanged out after too ! great venue, such a great time. awesome sound and energy. gave me a high the entire day after! 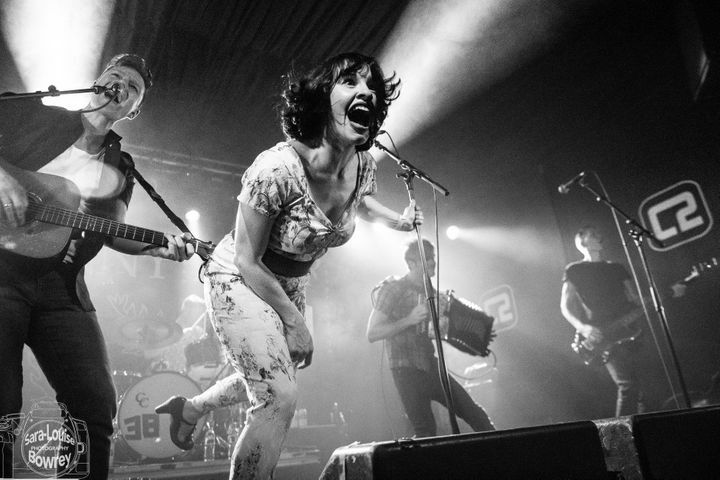 Both Skinny Lister and Will Varley were off the hook. Great show!